We will once again be reading out the names of those who have died recently and remembering other departed loved ones we hold dear at this special service. 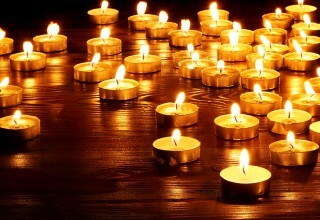 During the service, there will also be an opportunity to light a candle in memory of your own loved ones. If you would like to add someone to the list of those to be remembered please email [email protected] or leave a message in the Benefice Centre by 29 October or write it on the sheets which will be in each of the churches until 28 October.